If you’re not following National Geographic on Instagram, now’s a good time to start. They offer up many visual examples of how humans are hurting the planet. They bring awareness and education directly to those unaware of how their personal products and habits are effecting our planet. Not all are guilty, many are simply uneducated about what it means to be green. If we can create conversation about the problem, we can become mindful about our actions and together make the choice to keep our planet happy and healthy. 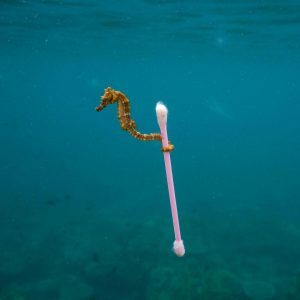 It wasn’t the first time it hit me, but it was the first time I felt overwhelmingly frustrated about the state of my own habits… National Geographic had posted a picture of a baby seahorse grasping to a cotton swab. The size of the cotton swab is way bigger than the seahorse and they are co-existing as one entity in the ocean. It was a huge wake-up call. Even my cotton swabs were harmful. What else was I missing and were there solutions? As an avid runner, I’ve always felt the sport is environmentally-friendly. After all, it’s you, your sneakers, and the ground beneath you, right? Well, sort of. There’s a huge difference between running on your own 3-5 times a week and being a participant in a marathon event. Marathons have come a long way from being harmful to our planet. However, they were not always so eco-conscious. It’s the plastic cups from water stations that are problematic. According to The New York Daily News, at the New York City Marathon, the New York Road Runners association uses 21,600 bottles of water for the Marathon Eve Dinner. As for race day beverages, there are 1.6 million cups of water used on the course. 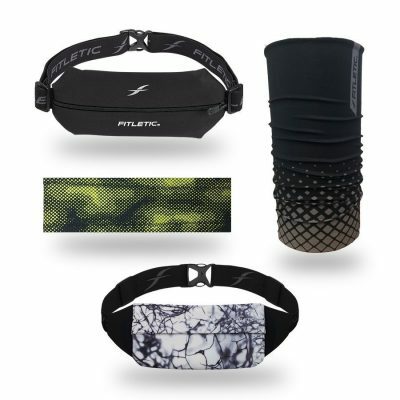 Enter Fitletic Hydration Accessories. We have created solutions for this very serious environmental problem. Of course everyone needs to be and stay hydrated during a marathon. How you hydrate and what you use to hydrate, however, is a larger issue – and one that can be solved. 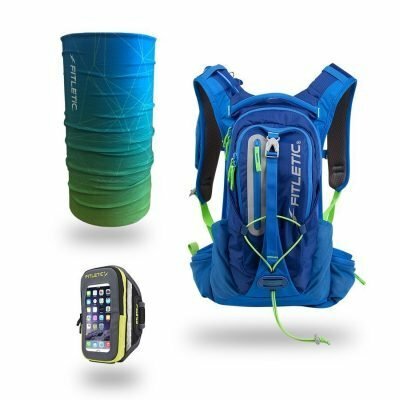 Fitletic has created Hydration Gear made by runners, for runners. Tried and true gear with a genuinely loyal customer base, Fitletic gives runners the opportunity to do their part in being green on race day. 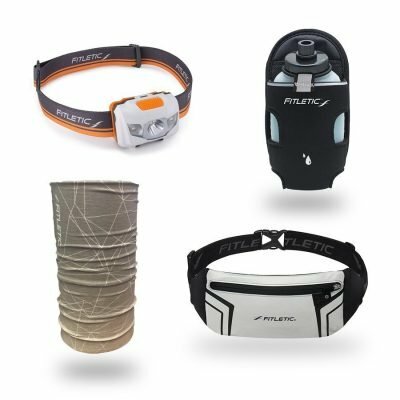 Not only do our accessories allow runners to lessen the amount of cups used, Fitletic also gives runners the choice of when to drink water and not to waste excess water. 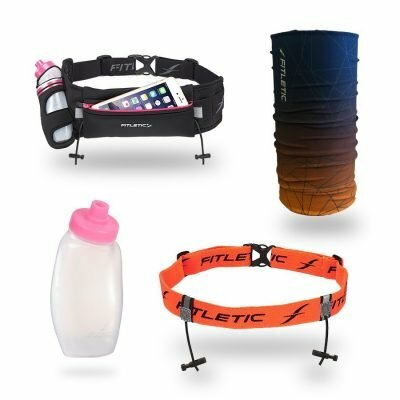 First, the Fitletic Hydration Belt comes in two sizes, the first holds two 6 oz bottles and the second holds two 8 oz bottles. The bottles are BPA free and they’re dishwasher safe. The dynamically designed waist belt doesn’t ride up or bounce and unlike most other belts, it will stay in place while you’re running a marathon. In addition to solving the harmful water cups issue, it also includes storage for your essentials, smartphone, and gel loops – plus it even has integrated toggles. The large pouch fits iPhone8 +, Samsung Galaxy S8 and other similar sized phones – with a thin case. The Ultra soft Dual-Adjust waist bet also has an interior pocket to securely hold ID and Credit Cards. 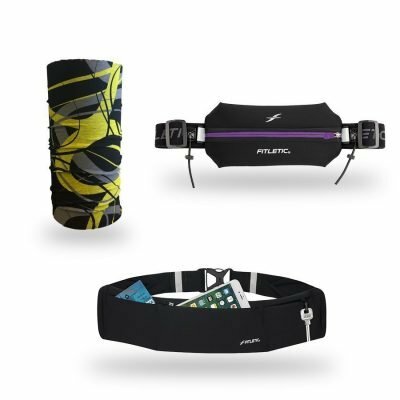 Our second option for runners participating in marathons is the Fully Loaded Water and Gel Belt. This is a gel carrier and water bottle belt in one. The Fully Loaded carries a high-capacity BPA-free water flask with an easy-flow spout. The belt fits the same sized phones as the Hydration Belt. This brings us to our third accessory: The Hydration Hand Holders may be just what you’re looking for. The first option is the Hydrapalm Bottle Hand Holder that is a palm-held water bottle that dual functions as a smartphone holder. It contains a water-resistant neoprene pouch that fits the same iPhones as the previously mentioned accessories. It also has dual zippers that allow for easy access to phone and essentials in addition to the true touch window that’s audio friendly. The second option is the Hydra Pocket Hydration Band. Along with having the same features as the Hydrapalm, the Hydra Pocket has a lightweight mesh pouch that holds small essentials like your ID or CCs. Now that we’re all totally aware of the stats, the problem and the obvious solutions, don’t just go for the gold on race day, go green as well. Sometimes we need to see something for ourselves or understand how something we do that’s small (like drinking water from plastic cups) when added up, can create a huge problem for the environment. Do you remember your first experience seeing something or reading about an issue that had to do with the environment that really hit a nerve for you? The cups situation at marathons luckily has a solution, find a Fitletic hydration belt or Hydra Hand Held today that speaks to you and go for the gold while being green!